We’re headed to #GlobalPetExpo! 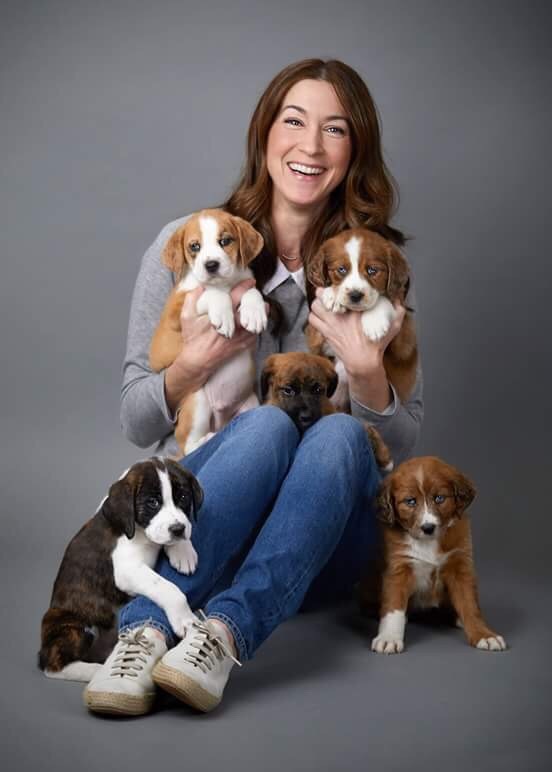 Not only is Thursday National Puppy Day, but it just so happens to be the day the best NYC dog trainer, author and media personality Andrea Arden will be honored with a special award at the Purina Media Reception. What better time to check in on this famous dog world New Yorker? New York City is known for many things: the Empire State building, exceptional pizza and bagels, Central Park, Broadway, more Starbucks in a three block radius than you could dream of…and dogs. If you think that’s a joke, just step out into the street on any given day at any given time. You’ll see more pet parents with their pups than real parents with their children, and the dogs are exceptionally well-trained, social and charming. How did you get started on this adventure? What prompted you to open a school for training? My father’s love for animals was infectious, and I grew up with loads of wonderful dogs, cats, horses, hamsters, guinea pigs, two pigs, and a goat. So, it isn’t all that surprising that I chose a career that revolves around helping people develop better relationships with their companion animals. When I graduated from college, I attended a dog training school with my new puppy, Oliver. This turned into a two-year apprenticeship with the school, and I opened my own school in 1994 in NYC. Tell us about your dogs! How many do you have, what are their names, and how did you come to bring them home? Up until about 5 years ago, I never had less than three dogs. Right now, I have my adorable 15-year-old rescued terrier mix, Nora. I adopted her when I was on vacation in Paris. She is the most adorable little scruffy girl, and everyone who meets her thinks she is about 7 years old. While I am often tempted to adopt another dog, having just Nora allows me to foster dogs and prepare them for being adopted by loving families. You offer Puppy Class 1 and 2…what is the difference between the two? We started offering classes for puppies in NYC about 20 years ago. Surprisingly, before this time there were no classes like this. The thinking was that you had to wait until a dog was about 6 months old before you could start teaching them much. In fact, young puppies are super open to learning when you use a positive, reward and motivation based approach. They are like little sponges eager to absorb information. We changed our puppy course curriculum a couple of years ago and split the class into two parts because with so much to cover we realized this would be a more effective way of helping puppy parents help their pups learn a whole host of important life skills and manners. Puppy Class 2 allows puppy parents to build on the foundation set in Puppy Class 1 and develop better handling skills and timing so they are best equipped to help their rapidly maturing pups become more reliable in their responsiveness, even around distractions. What are the essentials every dog owner should know when training a puppy? Perhaps the most essential part of being a great puppy parent is realizing that much of the success of raising a pup is based on superb management skills intended to prevent predictable problems and set the pup up for success. The old fashioned approach was to allow the pup to make a mistake and reprimand them for it. A much easier, kinder, and more effective approach is to help your puppy to succeed and make good choices from the start so that behaviors we don’t want aren’t allowed to be practiced and become habit. A simple example of good management is keeping a young pup on a leash when you are supervising them at home. This way they can’t wander about and make potty mistakes or chew valued or dangerous items. With time, the use of management tools can be gradually faded out and your mannerly adult dog can have full freedom in the home. How do you handle training dogs with special needs or injuries? Can you give examples of what can be done to make it easier for training? We have worked with many dogs that are visually impaired, deaf dogs, and tri-paws. The approach is the same. Use all the things your dog wants and that you want to give them (food, toys, attention, etc.) as motivators and rewards for behaviors you like and your dog will be eager to play the training game. Of course, some special needs require us to tweak things a bit. For example, we have a canine student who is deaf and blind. She learned signals based on us tapping on the floor so she feels the vibrations. One tap is sit, two taps is down, etc. But it all still comes down to turning training into a game. This is the best way to develop a trusting, respectful, and compliant relationship. 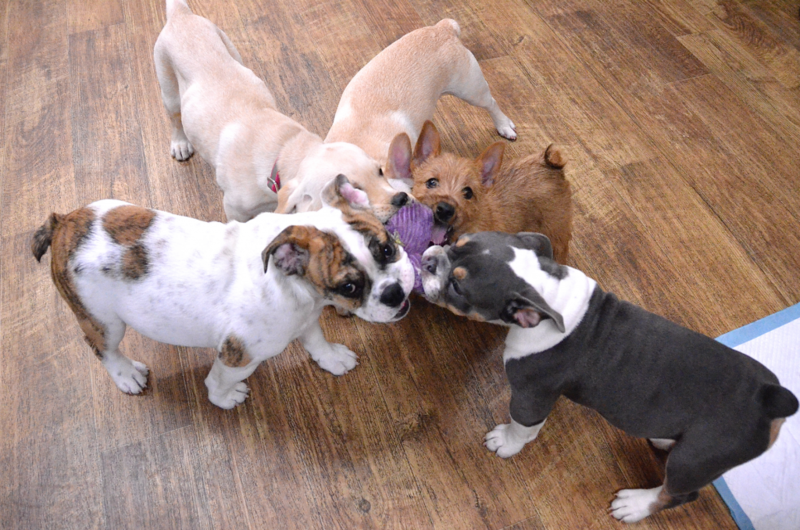 You organize play dates for puppies and small sized dogs…sounds like the best time ever. Why is it important for dogs to have play dates too? What kinds of activities are created to facilitate a good playtime? We started puppy play dates and small dog play dates almost 20 years ago. When we started, we only had a handful of attendees since the concept was so new. Nowadays, our playgroups are the hottest ticket in town! It is as much fun as you’d imagine. Our goal is to help pet parents to have a place where they can confidently provide their dogs with opportunities to develop, maintain, and improve their social skills. A big part of running successful play dates is making sure there is a trainer there to moderate and guide people on dog body language and how and when to step in to help dogs learn good play skills. Do you find that there is a difference in training city dogs versus dogs in the suburbs or in the country? What would the main differences be? I have loads of friends who are dog trainers in suburban and rural areas, and we often compare notes on recent cases. It does seem that expectations of our dogs vary greatly depending on geography. In a city, a dog must come into contact with loads of people and other dogs every day: in apartment hallways, elevators, building lobbies, and streets. We also tend to live in much tighter quarters in the city, so a dog who barks excessively would presumably be more troublesome to neighbors here than in an area where homes are spaced out. But, regardless of where you live, everyone wants their dog to learn great housetraining skills, to be polite and mannerly with visitors, and to have a rock solid recall so they can be counted on to come when called reliably. When a dog has anxiety and comes to train with you, we imagine that it can be a difficult start. How do you overcome that and build trust? What skills are important for owners to remember when working with high anxiety pets? Unfortunately, we see loads of dogs with anxiety issues. Some suffer from the challenges of living in an environment where people and things move fast and there are always loads of sounds coming at them. Others suffer from not having yet had the benefit of learning to self-pacify when spending time alone. When dealing with anxiety issues, it is vitally important to first and foremost help pet parents understand that the process may be slow going and they need to celebrate even the tiniest bits of improvement. When dogs suffer from anxiety, their people tend to suffer as a result, and it is important that they learn to see the light at the end of the tunnel. How were you inspired to create your specialized course series? From housetraining to recall to living with children…you really touch on so many of the major things that become a day-to-day problem with pets and their parents. Can you share a couple of unique tips from these seminars? When I started my school, we offered just puppy classes and basic manners classes for adolescent and adult dogs. We added small dog classes soon after, and found that people with tiny dogs, of which there are many in NYC, were thrilled to have a course specifically designed for their dogs. In this class we work on basic manners, but also issues that are often of greater concern to people with small dogs. For example, teaching dogs to happily jump into carry bags and to tolerate and enjoy being picked up. Our Urban Agility & Fitness class and our Tricks classes were created to help pet parents take their pup’s education to an even more fun and advanced level. In these classes, they learn a host of fun behaviors like jumping through hoops and their arms, weaving through poles and their legs, taking a bow, rolling over, putting their hind legs on a vertical object, and loads more. We have found that people seem to be even more enthusiastic about playing the training game with their dog when the behaviors are labeled as tricks. In reality, the dog doesn’t know that sit is considered an ‘obedience’ skill and rollover is a ‘trick.’ They just learn to love learning new things, spending time with their people, and benefit greatly from building learning muscles and burning off physical energy. Tell us about your books! What is the strength of each and what should someone pick up as a first time pet owner? One of my first books is Dog-Friendly Dog Training, published in 1999. I wanted to create a book filled with fun illustrations to engage the reader and provide clear examples to support the content. 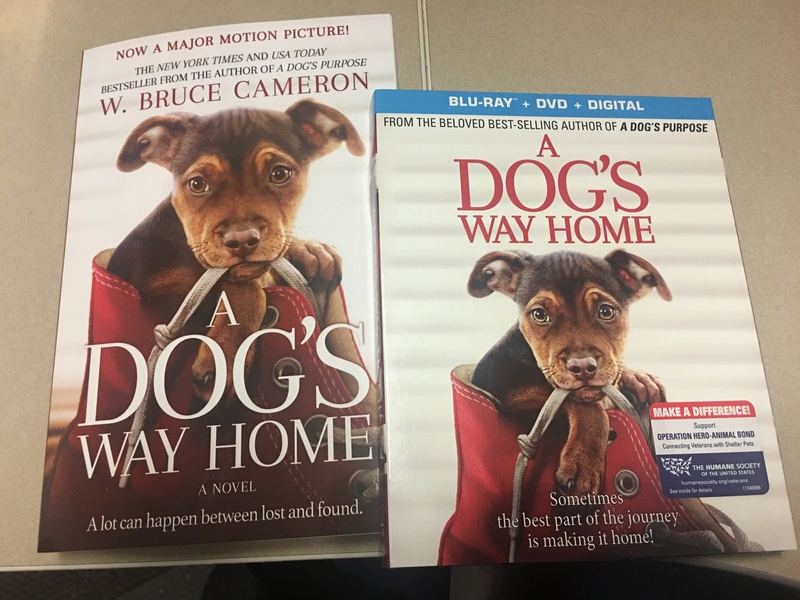 The illustrator did a fantastic job and I’m confident I provided detailed instructions for pet parents to provide their dogs with an education based on a fun, motivational approach. My most recent book is Barron’s Dog Training Bible. Of course, the general approach is the same, but I endeavored to go even more in-depth into specific exercises intended to improve manners, willing compliance, and to support a healthy, mutually respectful relationship. The Little Book of Dog Tricks offers simple guidelines for teaching some terrific behaviors that are fun, and enriching for dogs and their people. If someone wants to become a trainer, what path would you recommend? Of course there are many routes one can take to make it successfully to their destination. My journey began with an apprenticeship of approximately two years, and most of the trainers on my team have started in a similar manner. In addition, volunteering at a local rescue or shelter, attending as many seminars and conferences on animal behavior and training as you can, and reading loads of books and articles are all important parts of developing a well-rounded education to become a professional dog trainer.